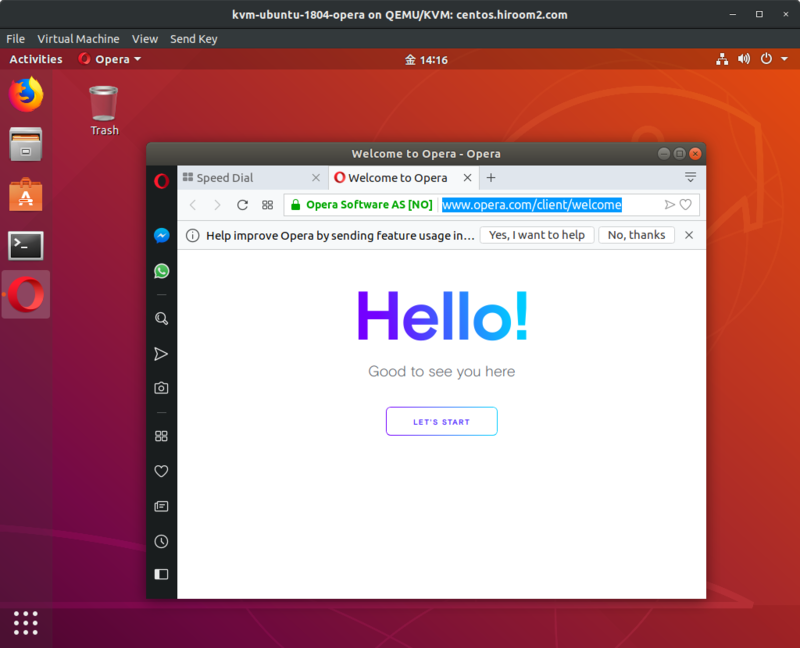 This article will describe installing Opera. If you need Flash, run the following command. Flash does not work at the first boot. Please reload web page and then flash will be worked.